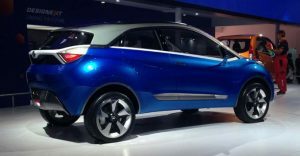 Tata Nexon Launched; Prices Start at Rs 5,85,000! 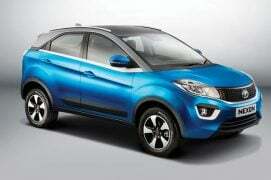 We have already reported in great detail about the new compact SUV from Tata. 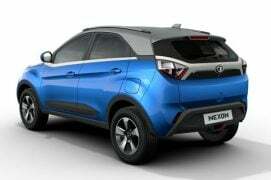 The Tata Nexon was launched at an official event in Mumbai today. Prices start at Rs 5,85,000 only. The Nexon comes with two engine variants – a 1.2-litre Turbo Petrol and a 1.5-litre Turbo Diesel. Both the engines are available with 6-speed Manual and AMT transmissions. 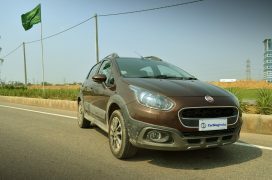 We were a part of the media test drives from Tata Motors and you can find a video of our test drive review further down this page. 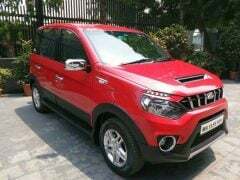 ALSO SEE- Nexon vs Ford EcoSport Facelift vs Maruti Vitara Brezza. Bookings for the Tata Nexon have been open since September 11, 2017 for a refundable amount of Rs 11,000. The Nexon made its debut at the Auto Expo 2016. It even made it to the Geneva Motor Show, where the new compact SUV was put on display in a near-production guise. The Nexon compact SUV goes on to rival the likes of Maruti Vitara Brezza and Ford Ecosport. The new compact SUV from Tata rivals the likes of Ford EcoSport and Maruti Vitara Brezza. The Nexon offers segment-leading features and a really attractive design. With its launch, the Nexon becomes the most handsome sub-4-metre SUV around. The Nexon’s design is characterized by the Humanity Line, Diamond DLO and the Slingshot Line. The Nexon comes with a 1.2-litre Turbo Petrol motor and a new 1.5-litre Diesel engine. This compact SUV will offer both 6-speed Manual and AMT options. Out of these two engine options, the Diesel unit is an all-new motor that will mark its debut on the upcoming compact SUV. The petrol engine, on the other hand, is a turbo version of the Tiago’s 1.2-litre mill. The Nexon is available with both Petrol and Diesel engine options. Tata Motors is likely to stop the Nexon from entering the commercial vehicle space. They have already been successful in ensuring that the Zest and Tiago don’t become popular with fleet operators. Tata Motors should now adopt a same strategy for the Nexon. The Nexon has been launched at really attractive prices. These prices are introductory and will see a marginal increase in coming days. Currently, prices of the new model start at ₹ 5.85 lakh. 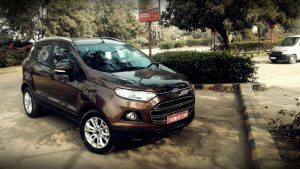 The top-end model, which has the new 1.5-litre Turbo Diesel engine and dual tone paint job, costs ₹ 9.5 lakh. 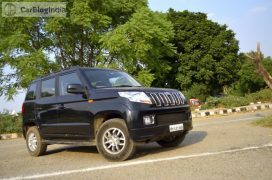 The Nexon is pitted against the Maruti Vitara Brezza and the Ford EcoSport. 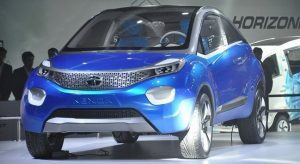 It will become the smallest SUV in the product portfolio of Tata Motors. 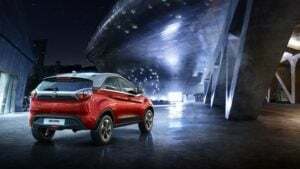 The new Tata Nexon compact SUV has gone on sale with both Petrol and Diesel engine options. 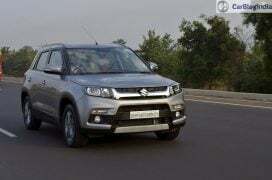 It may be noted here that the segment-leader Vitara Brezza is available with a Diesel engine only. 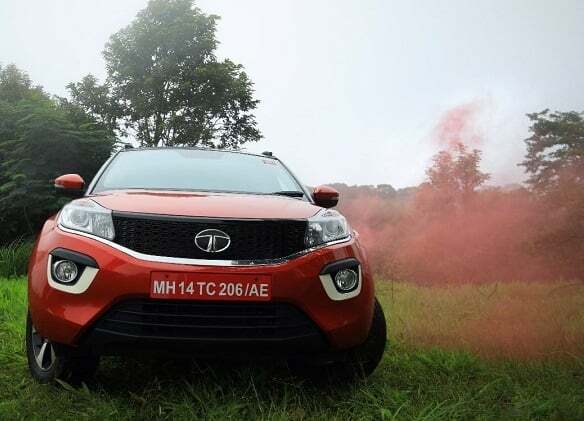 Availability of a Petrol engine will surely help Tata Motors to have a slightly wider appeal. Both the Diesel and Petrol engines offer 6-speed Manual transmissions. An AMT option will launch in a few months. 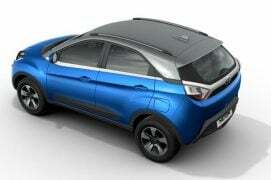 The Diesel engine for the new Tata compact SUV is an all-new motor that will also power other cars in future. The petrol option, on the other hand, is a turbocharged unit. Not to be confused with the Zest’s 1.2-litre Turbo engine, the new petrol engine for the Nexon is based on the Tiago’s 1.2-litre mill. The fact that the Diesel engine will finally be available with both Manual and Automatic transmissions should help the new Tata compact SUV have a distinct appeal. With the slight shift towards automatics, there are many prospective compact SUV buyers who’ve been waiting for an automatic option for Diesel-powered models. Not it looks like the Tiago will attract such buyers. The Nexon has an ARAI-tested mileage of 17 KMPL for the petrol and 21.5 KMPL for the Diesel. While these are far from segment-leading figures, let’s not forget that both the engines offer a really high power output. Keeping this in mind, these average mileage figures are pretty good. 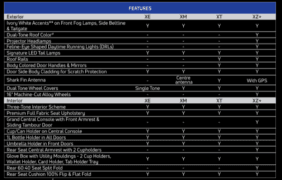 Among the highlights of the new compact SUV’s features list are the various driving model the car offers. 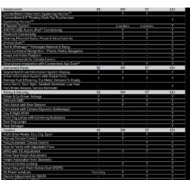 The driver can toggle between these modes using the Multi Drive Mode selector. 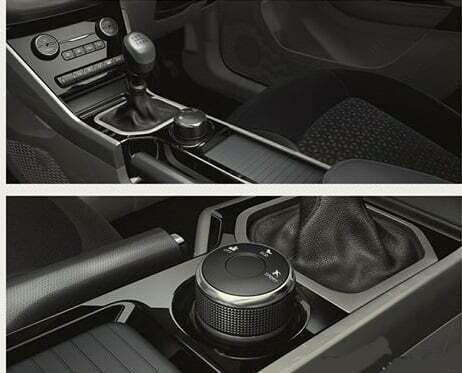 It’s basically a rotary control that has been positioned close to the gear lever. 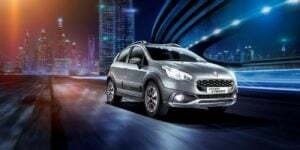 The car offer three driving modes – Eco, City, Sport. 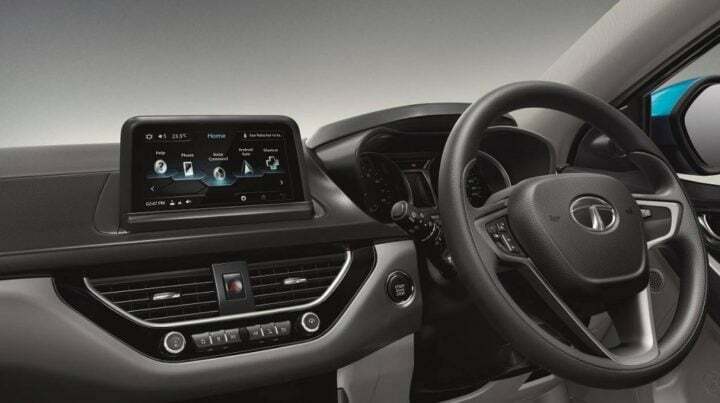 Also, the Nexon comes with a floating-type touchscreen interface for the infotainment unit. This 6.5-inch touchscreen can be used to control the Harman-sourced infotainment unit. We are might impressed with the Hexa’s audio setup. Now, it seems like even the Nexon will offers a similarly rich aural experience. The infotainment unit supports Android Auto. Apple CarPlay will be offered at a slightly later stage. 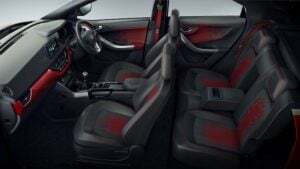 With this, the Nexon will become the second compact SUV, after the Vitara Brezza, to offer advanced connectivity options with a touchscreen interface. Safety features like ABS and Airbags are standard across all trims. 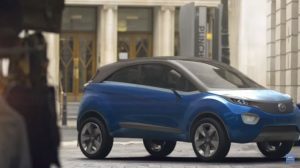 In terms of aesthetics, Tata is offering the Nexon with a dual tone colour scheme, stylish alloys and a black-grey colour scheme for the interiors. 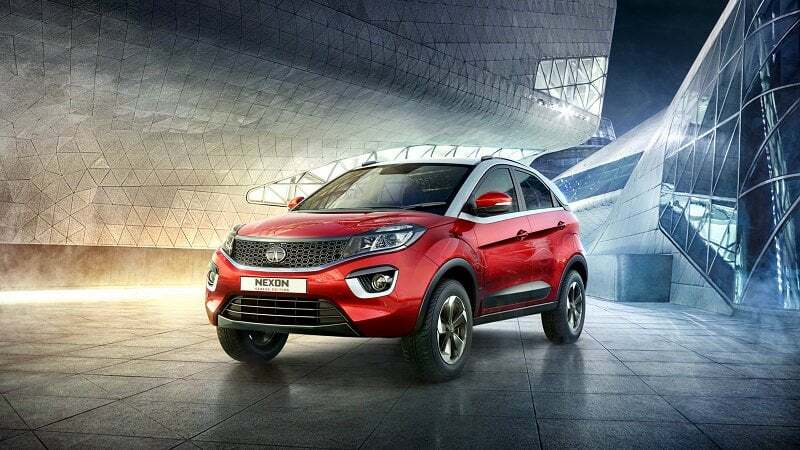 Keeping in with the manufacturer’s latest design language, the Nexon compact SUVhas all the design elements of a modern Tata car. These comprise of – The Humanity Line, Diamond DLO and the Slingshot Line. Designers have also made use of ceramic finish appliques in the front bumper, window line and the at the back. The best part about the design is that it stays true to the concept that was showcased a few years back. Tata has stated that the looks will take precedence and that they will be targeting a younger demographic. As evident from the images on this page, the design remains largely identical to the concept that was present at the Auto Expo. While most of the bodywork is camouflaged, it is not difficult to figure that this particular example is finished in orange. Even the alloy wheel design remains the same. These shots reiterate Tata’s intentions of ensuring that looks are a big selling point of the Nexon compact SUV. The new car has gone on sale in five colours. The paint options for the Nexon include shades of Blue, Red, Grey, White, and Silver. The interior is also nearly identical to the ones we saw in the concept. The rear seat space and headroom is decent in spite of the coupe-ish roofline. When launched, the Nexon will be unlike any other compact SUV on sale thanks to its coupe-like silhouette, dual tone colour scheme and the use of ceramic applique all around. The dashboard features a very Audi-like floating touchscreen. Bits like the steering wheel come from other Tata products. It would definitely be the car to buy if you want to stand out from the crowd. 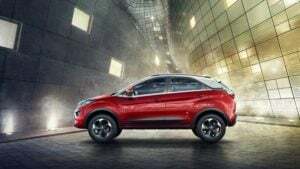 The Nexon compact SUV features a 1.2 L, three-cylinder, turbocharged petrol engine that belts out a peak power and torque of around 108 BHP and 170 Nm. This unit is basically a turbo version of the 1.2 L Revotron engine that powers the Tiago hatchback. The diesel motor is an entirely new 1.5-litre unit that also outputs 110 BHp but a peak torque of 260 Nm. Currently, both the engines come with a 6-speed manual transmission. However, AMT automatic variants should follow in a few months. The Nexon becomes the the most powerful diesel compact SUV on sale in the country. Claimed Tata Nexon mileage is around 17 kmpl for the Petrol and 21.5 kmpl for the Diesel variant. Tata Motors, along with the big unveiling of their TaMo RACEMO sports cars, also showcased the Nexon Geneva Edition at GIMS 2017. The special edition basically reveals what the production-spec Nexon will look like. There aren’t too many changes except for a red paint scheme and red highlights in the interior. Stay tuned to Car Blog India for more on the Tata Nexon. 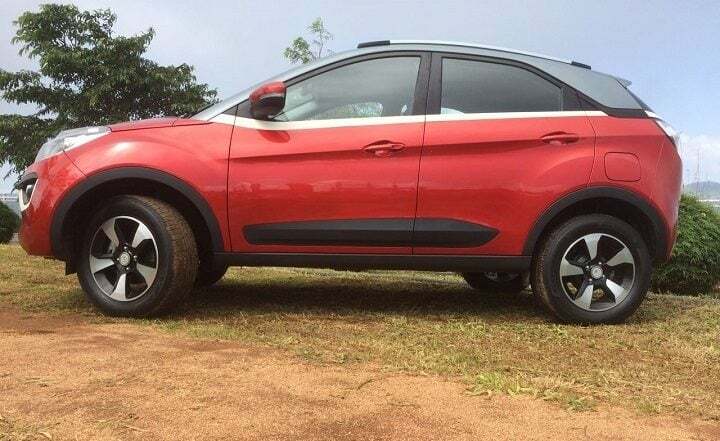 What do you think of the Tata Nexon prices? Aren’t they really aggressive? Share your views on this by penning them down in the comments section below.